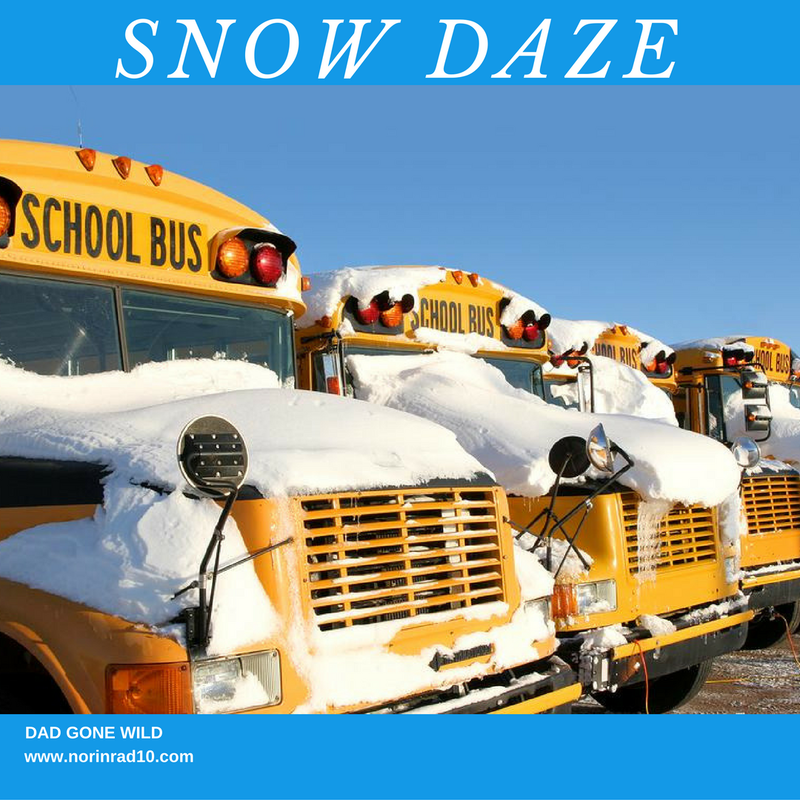 Last week, I was on the phone with a friend, and we were speculating on the incoming snow and the ability of the new leadership at Metro Nashville Public Schools to navigate the challenges of the upcoming bad weather. Let’s just say I was a little wary. Before I go any further, though, a little clarification is in order. 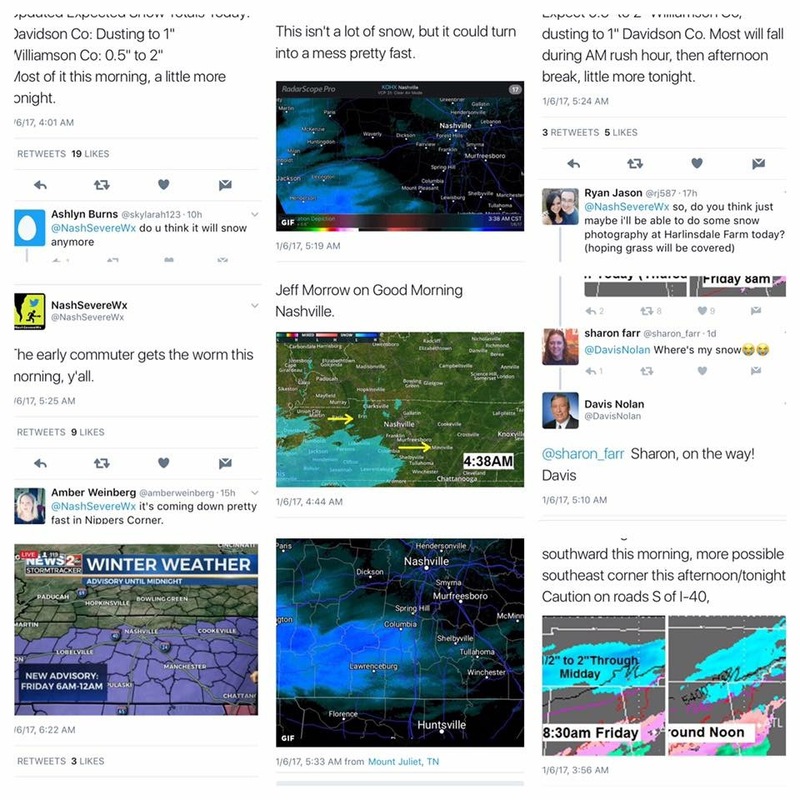 Nashville is a Southern city, but Northern enough to receive what we call “snow storms” a few times a year. Now these “snow storms” usually result in just 1 to 2 inches of snow – not a lot by Michigan, New Jersey, or Prince George’s County standards – but let me refer back to my original statement, Nashville is a Southern city. As a Southern city, we do not have access to the same resources as a Northern city, despite being just as large in most cases. As City Councilman Dave Rosenberg recently noted, Nashville has a huge network of roads (5,800 lane miles) spread throughout a huge city (4 times the size of Boston, 24 times the size of Manhattan). This is a lot of territory to cover with minimal snow removal equipment that only gets used a handful of times in a year. It should also be noted that nobody has snow tires on their cars, nor a whole lot of practice driving in snowy conditions. What this translates into is a city that gets shut down by a minimal amount of snow and the resulting ice. What this also means is that when Northerners move here, they tend to translate their experiences with snow into what it should be like here. They assume the reaction to a dusting of snow would be the same as the reaction to a dusting where they are from, and thus, warrants the same response. Based on the arrogance and unwillingness to listen to the locals that new Director of Schools Dr. Joseph and his team have demonstrated, I predicted their response would be that of the typical Northern transplant. They didn’t disappoint with this first snow of the year. Friday, January 6, would have been students’ second day back to school after winter break. At 6 AM that morning, when I woke up, there was already a covering of snow on the ground and more falling from the sky. I looked on the Facebook page for MNPS, expecting to see that schools were closed, but the message was that schools were open. At 6:30 AM, as snow was continually falling, it became clear that travel was becoming unsafe. At 6:45 AM, my wife, who teaches at the same school my kids attend, and I decided that she would be going, but they would not be. At 7 AM, it was more than clear that school should be called, yet there was no further communication from MNPS until 8:45 AM when they announced early dismissal. At 10 AM, MNPS held a press conference hosted by Chief Operating Officer Chris Henson. In case you were wondering why it was Henson instead of the Director of Schools hosting the conference, well, me too. Apparently, when former COO Fred Carr left over the summer, Dr. Joseph combined the COO position with the CFO position and named Henson (formerly the CFO) the new COO. I guess it was because the CFO didn’t have enough to do, and by combining the two positions, money was freed up to import more friends from Prince George’s County. Or something like that. But I would argue that finance and transportation are two departments that require a great deal of focus. All Dr. Joseph had to do was talk to his friends in Prince George’s County for evidence of those challenges. Back to the press conference, per coverage by The Tennessean: “As Henson addressed reporters Friday morning, Director of Schools Shawn Joseph arrived midway through the news conference and watched alongside other MNPS staff.” Yep, that’s right, the boss who gets paid nearly $300k a year, has a Chevy Tahoe with a driver, three months of his rent paid along with the security deposit and moving expenses, can’t make it on time to a press conference where one of his Chiefs throws himself on the sword for the district putting the safety of its children at risk. MNPS put out a message that your child’s safety comes first, yet the district’s number one man has better things to do rather than showing up to address why a decision that put children at risk was made. And he doesn’t even address the public himself, choosing instead to speak to camera’s after the press conference is concluded. Let’s take it at face value that the decision to close schools does fall on the shoulders of the COO. Is a decision of this magnitude made without the Director of Schools signing off? Are we supposed to believe that Henson made the decision to close or not close schools by himself, without ever consulting with the Director of Schools? Furthermore, the Director felt no compulsion, when looking out the window and seeing snow on the ground, to call the COO and say, “Hey, you sure it’s safe out there?” This is a problem, and it demonstrates several disturbing elements, including, but not limited to, the chain of command. The idea that a superintendent would allow the COO to cancel or not cancel school without first getting a sign off is akin to allowing the Secretary of State to declare war without getting the sign off from either Congress or the President. It’s preposterous, and begs the question of how our leadership chart is structured. Unless maybe the COO was thrown under the bus on purpose. Unfortunately for Dr. Joseph, a body of work is beginning to emerge. In his brief tenure as Director of Schools for MNPS, he has shown a tendency to allow others to take the podium to answer the hard questions for him. Back in the fall when there were questions about the qualifications of some of the people he had hired, it was School Board Chair Anna Shepherd answering the hard questions instead of the well-compensated Dr. Joseph. Now it’s COO Chris Henson taking the heat for a decision that should be the responsibility of the Director. After months of local News Channel 5 chasing after Dr. Joseph to answer some legitimate questions, he finally agreed to sit for an interview, only to walk out before the end of it. These actions are painting a picture of what kind of a leader Dr. Joseph is. Sure, people are investigating and questioning his decisions – this is to be expected – but it’s his own hand that is constructing the portrait of him as a leader, and the more it is revealed, the more troubling it becomes. Over the last several months, MNPS has spent a small fortune on hiring outside consultants to focus on leadership and changing culture. Perhaps Dr. Joseph or one of the school board members could show me which chapter they read or out-of-town workshop they attended where they learned that leadership doesn’t accept responsibility and instead shifts it onto the shoulders of teammates or offers up excuses? A quick perusal of the Arbinger Institute (one of those well-paid outside consultants) website yields a couple of blog posts that would seem to offer different advice. One notes that “Good leadership is dependent on how we view people, situations, challenges and victories.” The other notes that “Our work flows better when trusting relationships have been established in every direction of our work (and we mean every direction).” Both would suggest to me that it should be Dr. Joseph in the chair handling the hard questions, demonstrating to his people and the public that he can be trusted and that he plans to lead by example. If we are going to be spending money on out-of-town jaunts and consultants, shouldn’t we at least try to follow the advice given by them? I know I haven’t been in on any of these transformative sessions, but it seems kinda obvious to me. Another tendency that’s becoming more and more apparent is that the Prince George’s County transplant is having a hard time accepting that he’s no longer in Prince George’s County. Neither Dr. Joseph, nor any of his people, has shown an inclination to learn the history of Nashville’s school district. They’ve refused to really sit and talk with long time local educators in an effort to find out why certain decisions were made or strategies were implemented. How can you ensure that you won’t make similar mistakes if you don’t know how the previous ones were made? Truth is, there is a blueprint for this latest snow storm fiasco if anybody cared enough to look at it. The last three Directors of MNPS have all faced the weather cancellation challenge. Back in 2003, Dr. Garcia refused to listen to the locals and insisted on keeping schools open. A decision with disastrous results. Then in 2009, Dr. Register decided that “Students’ Safety First” was not just a t-shirt slogan and closed schools. He was heavily criticized, but held firm on student safety first. Like many of the actions Dr. Joseph has taken, it seems he is intent on following the blueprint written by Dr. Pedro Garcia. Which, in speaking of Dr. Garcia, I would be remiss if I didn’t point out again that part of Garcia’s downfall was connected to the hiring and continued support of an employee who was clearly unqualified and incapable of doing the job he was hired for, Gene Hughes. Dr. Joseph has his own Gene Hughes in Maritza Gonzalez. Gonzalez was hired by Dr. Joseph as the Executive Officer of the newly created Department of Diversity and Equity at a salary of 155k a year. The Department of Diversity and Equity as part of its responsibilty oversees the instruction of our English Language Learners. Gonzalez has no classroom experience nor any other kind of experience involving direct instruction, and every time she presents anywhere in the district, or at Vanderbilt, it quickly becomes apparent how unqualified she is, as she presents in a manner that is simplistic and fails to show a grasp of the complexities involved in creating curriculum for our diverse community of English Language Learners – something MNPS already excels in. Yet we start the second half of the year and she still holds her position. I wonder if that’s somehow connected to her having recently married Joseph’s second-in-command, Chief of Schools Sito Narcisse. Here’s a fun fact: as a household, Gonzales and Narcisse draw a combined salary of $340K from the district. Before I get sidetracked though – because trust me I could, and may in the future, discuss that subject a whole lot more in depth – let’s go back to that press conference that was held on Friday. At that conference, Henson made the following statement: “Hindsight is always 20/20, and if we knew that the weather conditions were going to worsen and not follow forecasts, we would have made a different decision.” Well, that’s not exactly accurate. I have a great deal of respect for Mr. Henson, but a simple perusal of tweets and forecasts from that morning tell a different story. I get it. No one likes to be wrong. Especially if it puts children at risk. But when you are wrong, for God’s sake, own it. I’m not a highly paid outside consultant, though maybe I should be, but everything I’ve ever read about leadership says that moments like these are when you earn your stripes with people. 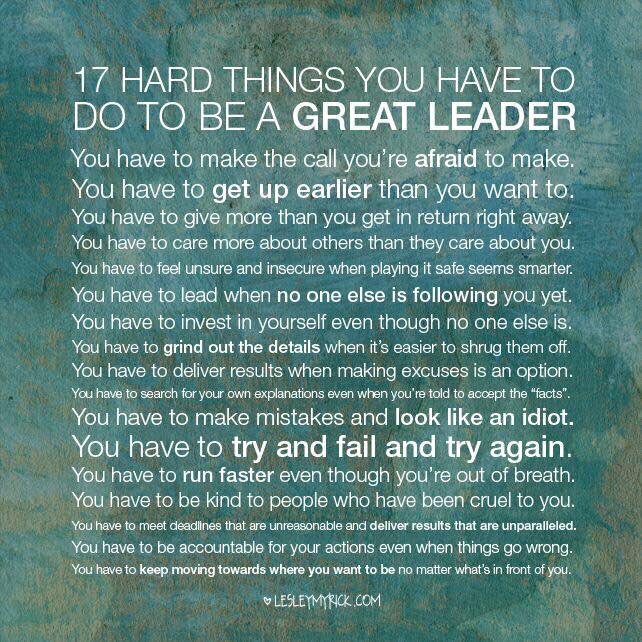 More than if you got it right, they want to see you step up and lead. They are evaluating who you are as a person and whether you are trustworthy or not. They want to see what kind of character you have and if you are somebody worth putting their faith in. Unfortunately, once again Dr. Joseph fails to capitalize on the opportunity to earn real buy in so that he can start to shed the “new guy” benefit of the doubt and become the recognized leader of MNPS based on real accomplishments and not just the status of the position. Using the school board chair and the COO as shields and walking out on tough interviews does not paint a picture of trust and mutual respect. There continues to be a reluctance by the school board and other community leaders to openly question Dr. Joseph’s actions for fear of angering him. I would argue that it’s not his anger they should fear, but rather that of principals, teachers, and parents. For some reason, it seems to be beyond the district leadership’s grasp that Dr. Joseph will be unable to enact his wide-sweeping reforms without buy-in from all stakeholders. That buy-in is not guaranteed; you have to earn it. This is where the school board is doing Dr. Joseph no favors. We talk ad nauseam about the importance of holding kids accountable, yet somehow that doesn’t translate to adults. By refusing to ever discuss any of Dr. Joseph’s shortcomings or question anything he’s done in public, the board has given him the feeling that he is beyond reproach, and therefore, nothing needs to change. I realize that they are doing everything they can to offer him support, and it may be beneficial in the short run, but we should have our eyes focused on long-term goals. Long-term success demands a leader who can build a strong team and who is willing to face his harshest critics head on. It amazes me how little we as a society learn at times. We just came through a national election that has allowed, in my opinion, an unqualified candidate to ascend to the highest office in the country because we failed to listen to the people in the trenches. Same thing is now happening here in Nashville. The accolades fly from the mayor’s office, to city council folks, to other elites about what a transcending job Dr. Joseph is doing, but is anybody listening to what the people in the trenches are saying? Or are our leaders just assuming that they know best and if they just continue heaping on the praises, it’ll be accepted as fact? There is a reason snow days are built into the schedule. The day in question was a Friday and the second day back from winter break. Weather reports for two days prior called for snow. It seems to me that this would have been a perfect opportunity to burn a snow day. Call it early the night before so parents have a chance to make plans. We should also have a plan in place in case of a weather cancellation where we can get food to those families in need. I know for a fact that Dr. Tony Majors, former Chief Officer of Support Services, and Fred Carr, former COO, had previously developed such a plan. (Another side note, has anybody else noted the plethora of problems created this year by letting Fred Carr go in July? Just asking.) Dr. Register was perfectly willing to take the heat for actually living the statement your child’s safety comes first, and this administration should extend that policy. At the end of the day Friday, everybody made it home from school safely and Dr. Joseph issued an apology. As a result, people have a tendency to be forgiving and chalk it up as a lesson learned. We should, though, listen to the words of my friend and fellow MNPS parent Chelle Baldwin: “Not sure how he [Joseph] defines ‘safely,’ but bus crashes, kids having to walk miles back home because buses couldn’t get down icy hills along with parents, and educators wrecking cars does not meet my definition of ‘safely arriving home.” This was not a lesson we should have needed to learn, as the two previous Directors faced similar challenges. Every lesson should not have to be relearned, and let’s be real, we escaped a catastrophe by sheer luck. What if, God forbid, a child or teacher was injured – would the cost of that lesson be appropriate? It’s nice that student absences will be considered excused, but word on the street is that all teachers who did not show up for work on Friday are being forced to burn a personal day. I certainly hope MNEA and PET are looking into that. No teacher should be punished for not risking personal injury. On a final note, in his “apology,” Dr. Joseph continues on the same path that he has traveled for the last six months by stating, “Using a two-hour delay is something we will certainly do in the future if this same situation occurs.” Really? Has he talked to anybody about why the previous administrations did not utilize the two-hour delay? Has he studied the impact on our large English Learner population? How about our kids who live in poverty? Has he developed protocols to ensure that the delays won’t actually cause more problems? Or has he just erected some more mirrors and thrown smoke at them? The apology I would have liked to hear would go something like this: “This is Shawn Joseph, and I would like to apologize for today’s fiasco. We got it wrong. My team and I thought that we were making the best decision possible, but in hindsight, we were wrong. This is my first experience with snow in Tennessee. Obviously, things work differently where I come from. Luckily, I am surrounded by many people with a lot of experience in dealing with the weather in Nashville. We will be talking with and listening to as many of them as possible to find the best strategies going forward because we owe it to parents, teachers, and administrators to get it right. When we say your child’s safety comes first, it’s not just something we say, it’s something we live.” Oh well, maybe next time. If not, there will be a whole lot more snow daze. I agree 100 I live in walking distance of my kids school and we walked to school that morning they wanted to go and I wasn’t putting my kids at risk. Yes we as parents have to be able to make that judgement call even if they don’t call it. What makes me mad is the fact that the principal can’t in talking about where the snow I said we don’t get show we gets ice this is not like Delaware we close school just for this we have hold and back Street buses have to go up and down. Dr.Joseph a joke everybody who came with him is a joke our school system is going to be even more screwed up when he gets done with it. They don’t like listening to what people who have been there to help they are coming in going they on thing and have other people taking the wrap for then and that’s not right at all own up to your bs don’t put it off on the next person I just love reading your blog’s you be saying everything that alot of people need to hear this man and his cronies are going to bring the school system down even more then we will be waiting for the next person to come in and fix it. So hiring out of state is people here that would have been perfect for every position, people who actually knows about Nashville and its history not people who shoots down everything you say to benefit they agenda and not benefiting or kids that’s where I draw the line at MNPS NEEDS TO FIRE DR. JOSEPH AND HIS CRONIES HE IS FAILING AT HIS JOB TREMENDOUSLY…. Knowing over 70% of Nashville children (Over 70 percent of our students qualify for free and reduced lunch, so the issue of poverty in our city is real,” says Dr. Tony Majors, the chief support services officer of Metropolitan Nashville Public Schools.) I find Dr Joseph’s decision to send our children to bus stops in these extreme weather conditions (many do not have proper coats and clothing) shows his disconnect to our community. I do not accept the constant “I’m sorry” from Nashville leaders. I expect excellent decisions from someone that demanded more money and perks because he was the best qualified to lead our school system. If you don’t have the answer ask a native Nashvillian. Keep preparing for the continuous “snowfall” that he and his administration will implement….and I don’t mean the white stuff that falls from the sky. He is a “Broadie” through and through. He and his staff are running your school system like a business and not like a school system. This is just the tip of the iceberg or the first flakes that fall from the sky…your blizzard is right around the corner. Just wait until he wants to implement his “vision” and has parent information sessions where the parents are not allowed to speak and questions (from parents) are submitted ahead of time and his staff gets to cherry pick the questions that get asked. Security guards will be hired to keep watch over the “bad and evil ” parents. I’m sorry for your State’s acquisition of such a horrible human being.